As you know, in Minecraft, you can change the look of your character so this mod adds a new accessory for it. 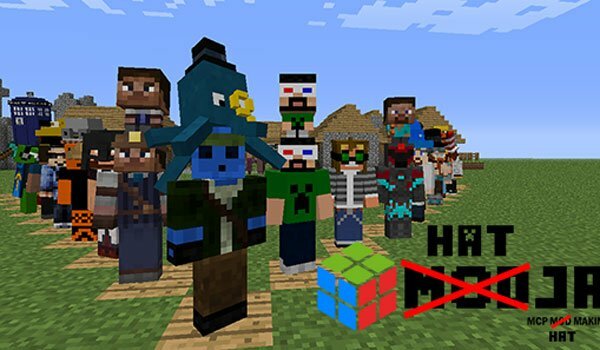 Hats Mod 1.7.2 and 1.7.10 is a mod that has a lot of hats that you can use for your character. Right now the mod allows us to choose between 78 types of hat. To choose a hat we just press the “H” and thus we see a graphical interface where you can select both the type, the color to full customize. How to install Hats Mod for Minecraft 1.7.2 and 1.7.10? Paste the “iChun Util” downloaded file inside “.minecraft / mods” folder. Paste the mod downloaded file inside “.minecraft / mods” folder. 78 hats for your character in Minecraft! And How to Install The Forge?